The technology industry today is multinational and attracts talent from across the globe. When you’re hiring global talent you want to consider employment visas for foreign nationals working in the US. Startups should work with immigration professionals or firms that specialize when preparing visa applications. However, this post gives information to understand the process to acquire the most popular visa type for technology workers—the H1-B—in addition to offering an overview of other visa types. The H-1B program allows U.S. companies to temporarily employ international workers in occupations that require either the theoretical and practical application of highly specialized knowledge and a bachelor’s degree (or equivalent) or higher in the specific specialty. In the startup world, this visa is particularly suited for engineers and data scientists. H1B is a three-year visa and can be up to six years if extensions are approved. Step One: First, you will need to consider timing of an H1-B petition (known as “sponsoring”). The U.S. Citizenship and Immigration Services (USCIS) usually opens applications starting on or around April 1st. It is ideal to have your application ready and revised before that deadline, as the H1-B petition is a competitive process with typically far more applicants than visas granted. You must file an approved form ETA-9035, Labor Condition Application (LCA), and Form I-229 (Petition for a Nonimmigrant Worker). Employer must submit LCAs electronically via the DOLS iCERT Portal System. You should send the complete Form I-129 with a paid filing fee and other supporting documentation (including the approved LCA) to USCIS. Total fees often range from $3,000 to $5,000 - depending on company size and whether you choose to expedite. · Copy of previous employment /experience. · Copy of any certifications/achievements. · Copy of all I-20 forms employee has had (if applicable). · Copies of any prior H1-B approval notices or J1 approval notices (if applicable). H1-B application results are released on a rolling basis after the application and may even be released after the October 1st start date. The H1-B is a great option for most startups. However, certain candidates who have exceptional abilities may also qualify for an O Visa although the application process is much more onerous. O-1 visa is for “persons with extraordinary ability” across a range of disciplines. For startups this may include sciences, education or business. The standard of review for an O-1 applicant is very high and requires more evidence of the candidate’s ability. The O-1 visa can be advantageous because it can be applied for at any time and it comes with a three-year initial period with one-year extensions. However, it can be challenging to transfer to another employer and there are limited options for spouses and children to work in the United States. Two visa types that are definitely worth considering are the TN for Canadian or Mexican nationals, or the E-3 visa for Australian nationals. These are easier applications and have a greater likelihood of approval due to the favorable relationship the U.S. maintains with participating countries. TN Visa: This visa is only applicable to Canadians and Mexicans, who receive preferential treatment because of NAFTA, the North American Free Trade Agreement. It is modeled similar to the H1-B Visa, but has some key differences: it is granted for three years (but can continue to be renewed indefinitely), it can be applied for at the U.S. border (port of entry) and is usually granted immediately, and the documentation requirements and procedures are much less burdensome than those of the H1B Visa. TN visas for Mexican nationals are typically harder to obtain and must be applied for at a consulate or embassy. If your startup has operations in multiple countries already, the L-1 visa is a good way to transfer existing employees into the United States. The L-1 visa is an intracompany transfer visa that allows international employees from within your own organization to work in the United States. L-1 visa sponsorship requires demonstrating a qualifying relationship with an international entity (branch, affiliate, subsidiary, etc.). You must also prove that it you are operating both in the United States and in the foreign country where you are transferring the employee from. 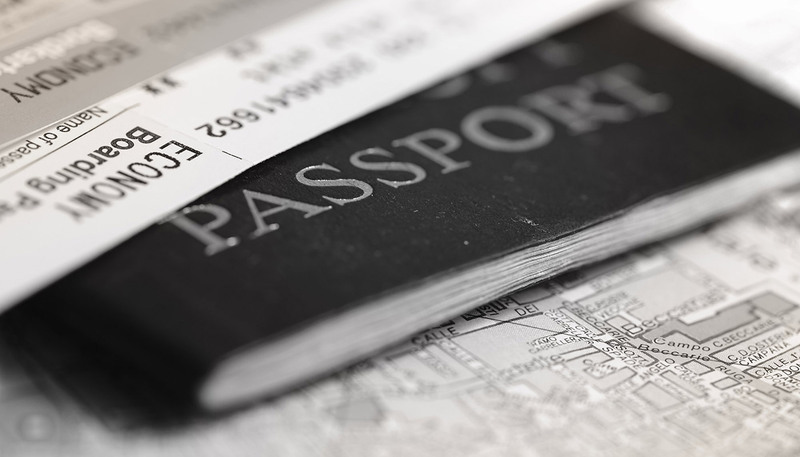 An L-1B visa provides employees who have been working at an affiliate foreign entity for at least one year and who have a set of knowledge or skills that are specialized that are not readily available in the United States to transfer to their US affiliate. The longer the employee has worked at the foreign subsidiary, the stronger the petition will be. An L-1A visa provides employees who have been working at an affiliate foreign entity for at least one year holding a managerial position and supervising the work of multiple employees to transfer to their US affiliate. This visa can also apply if you as a foreign company do not yet have an office established in the United States and wish to send an executive to do so. EB-5 Visa: While this is technically not a visa for employers, it is worth noting as it can be an effective, albeit expensive, way to obtain a Green Card (permanent residency). The EB-5 Visa allows immigrant investors to become lawful permanent residents (green card holders) by investing $1,000,000 to finance a business in the United States that will employ at least ten American workers. For eligibility, most immigrant investors invest in special government-created Targeted Employment Areas (TEAs) which are rural areas or geographies with high unemployment, thereby lowering investment requirement to $500,000. If you pursue this option you have the choice to invest individually or through a Regional Centers (RC) - approved intermediaries that connect international capital projects in need of funding. At Brex, we are proud of the fact that over a third of our employees are foreign-born. We consider our willingness to apply for visas on behalf of foreign nationals an advantage in a competitive talent market. We have been successful in getting multiple visa types approved, although not without extraordinary effort. Where available, we focus on country-specific visa types, but have learned that we need to be flexible and look at each candidate’s circumstances when making the decision that is best for them and Brex. We have found Envoy Global to be a great partner in helping to simplify the process and manage the complexities of the visa application process.